NASA is known for historic technological achievements, so it’s no surprise that some believe the agency invented some of the items made famous in its missions. However, many of these popular space spin-offs weren’t created by NASA at all. Let’s get to the truth behind some of the products that NASA made famous, but didn’t actually make. This orange-flavored powder made by the General Foods Corp. had been on the market since 1957 before NASA adapted it for the space program. Although Tang wasn’t very successful initially, it gained popularity after being used on John Glenn’s 1962 Friendship 7 mission. NASA also used Tang in later Mercury and Apollo missions. After that, Tang was featured in space-related commercials in the 1960s and 70s. It began flying off the shelves and into the homes of Americans who associated it with the bravery and adventure of space flight. Tang is not as popular today, but you can still find it aboard the International Space Station. While the Russians used pencils to deal with writing in microgravity, NASA wanted its astronauts to have a smoother composing experience. Developed by Paul Fisher with his own money, the Anti-Gravity AG7 space pen was tested by NASA for about two years before it was finally approved for the first manned Apollo mission. Fisher sold the pens to NASA for $2.95 each which is exactly how much NASA had in their budget for the purchase. Velcro indeed seemed like space-age technology in its time, but it was actually invented in the 1940s by a Swiss engineer who observed how burrs became caught in his dog’s fur. George de Mestral used a microscope to see the many tiny hooks that covered a burr and realized he could use a similar design to create a fabric that binds without ties and allows for easy release. NASA recognized how useful this could be in microgravity to secure items. During the 1960s and 70s, Velcro’s hook-and-loop technology became popular on Earth in shoes, apparel and other household items. Teflon is another 1940s technology that NASA adapted for its space missions. Invented by a DuPont scientist, Teflon’s low friction qualities made it ideal for heat shields, space suits and cargo hold liners. The Teflon used in space suits protected astronauts from radiation, prevented heat loss, and ensured that the suit itself didn’t get damaged from orbital debris. In conjunction with its utility in space, the non-stick coating also became a staple in kitchenware. "A-Ok" is often attributed to the first human to fly through space, Alan Shepard. After his flight, the phrase made it into the mainstream media and gained widespread usage. The media buzz was all for nothing, though, because Shepard never actually said it. A NASA public relations officer is responsible for using the phrase in a post-mission press briefing, and journalists liked the ring of it! Want to see some real NASA artifacts? 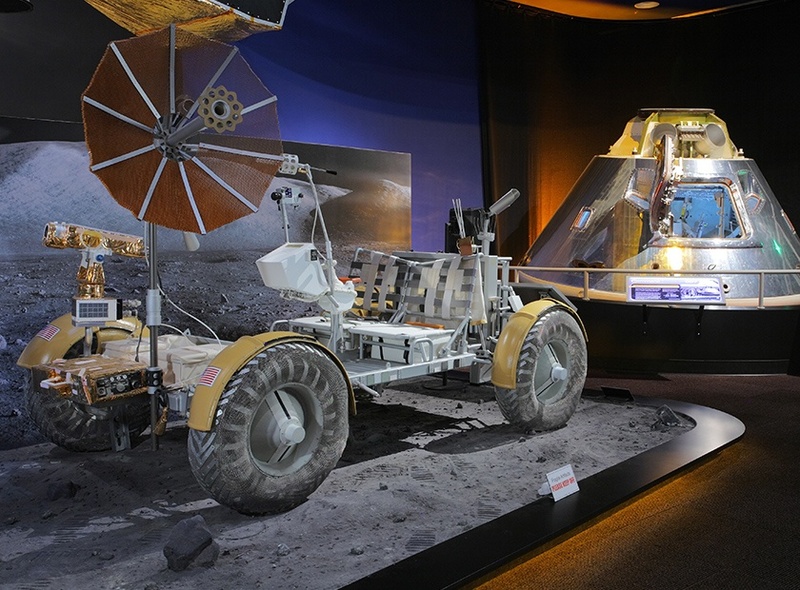 Visit our Space Gallery to get an up-close look at the objects that define space exploration.